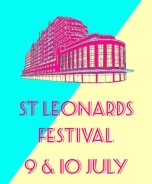 We'll have a stand at this year's festival. There are lots of good reasons for visiting the festival - good food, drink, music, local community groups - and of course us! Please come along to say hello and support. We're there just on the Saturday 11.00 until 18.00. (We won't have our usual stall in Hastings town centre). 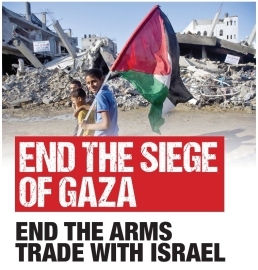 End The Siege of Gaza - End the Arms Trade with Israel. Film: "Where Should the Birds Fly." The Observer Building, 53 Cambridge Road, Hastings TN34 1DT. Speaker to be announced. Saturday 17 September. More information to follow. is shutting down debate. We should be encouraging young people to challenge and test ideas, not stifling them. Peter Chowney, leader of Hastings Borough Council, gave a comprehensive talk about councils adopting ethical procurement policies. Following their talks was a very lively discussion. It was good to see such a large turnout. Especial thanks to Kiri and Peter. Hewlett Packard Day of Action. 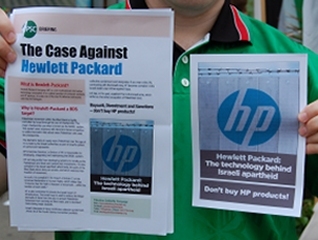 HP supplies the computer systems for the Israeli Ministry of Defence; its systems are used at checkpoints and in prisons, and its systems are used by the Israeli navy. Mawtini (My Homeland) by the children of the Gaza Music School. 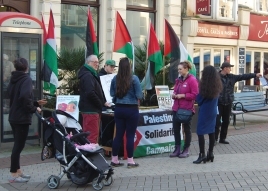 Brighton and Hove PSC brought the child musicians over from the Gaza Music School, part of the Edward Said National Conservatory of Music, to play in the Brighton area and in London. They had enormous difficulties obtaining visas and travel permits in order to travel to the UK. The Music School miraculously survived the devastation in 2014, having previously been re-built after the Israeli bombing raids of 2009. Performing Mawtini (My Homeland) at the B&HPSC's AGM. 'Apartheid Adventure's' latest video exposing airbnb's renting houses in Israel's illegal settlements. Why is Carlos Santana refusing to honour Israel boycott call? Supporters of Palestinian human rights are outraged that Santana is planning to perform in apartheid Israel. Article here. UK historian refuses prestigious Israeli award due to Tel Aviv University's complicity in the occupation. Rector of a Paris mosque saved Jews during the Nazi occupation of France. 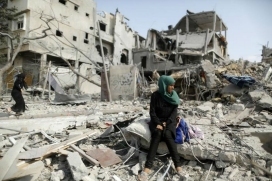 Zionism uses the term "anti-Semitism" against anyone who opposes its crimes against the Palestinian people. 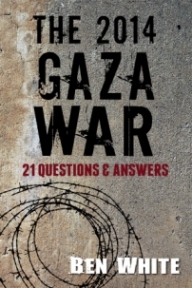 Anger as Gaza runners denied Derry marathon visa The pro-Israel lobby in Brussels. PSC: Chakrabarti Report welcomed. Victory! There will be no more dogs of war! Ireland latest EU state to defend BDS (following on from Holland and Sweden). Stephen Hawking reaffirms supports of BDS despite new pressures from Israeli lobbies. 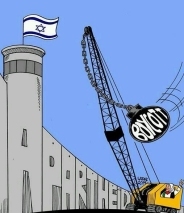 Israel boycott ban: Three councils cleared of anti-semitism over Israeli goods boycott.